The law firm WILDE BEUGER SOLMECKE has utilised its expert knowledge, wide-ranging experience and extensive network of contacts in the area of food law and food labelling law to advise food production and distribution companies for over twenty years. More than ever before, founding and running a food production or distribution business requires an in depth understanding of the legal framework on national and international levels. A business must also be aware of rapidly and constantly changing consumer protection legislation. Consumer eating and purchasing habits change in light of food scandals. 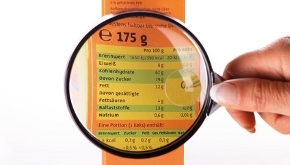 The environment and health aspects have an ever-increasing influence on food production and labelling. We have been successfully advising businesses for years on topics such as starting a food business and buying and selling companies or parts of companies. We provide our clients with individual support and advice.